VanLife Crisis: REVIEW: Folding chair that is ACTUALLY for big guys? 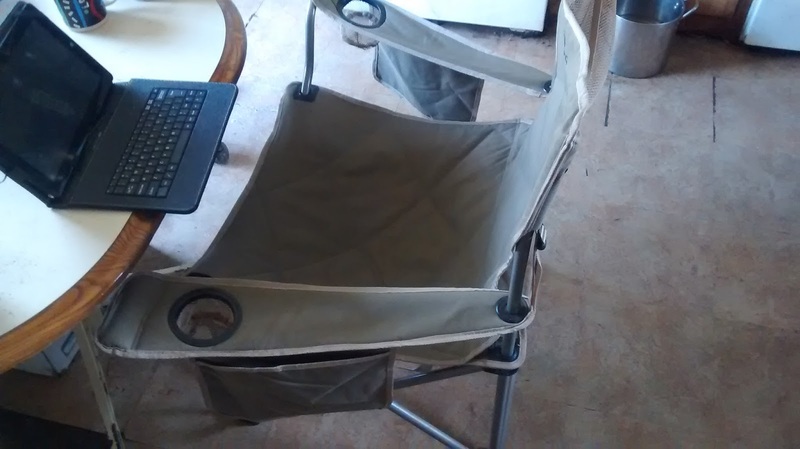 REVIEW: Folding chair that is ACTUALLY for big guys? Its like finding a mythical unicorn. I am a huge guy, 6'4 and probably hitting the 300 mark these days. If you are big like me, you probably know the pain of folding camp chairs. I dont care how much walmart says their 'oversized' or 'heavy duty' chairs can hold 300 lbs or even, laughably, 500 lbs, they are full of it! Sure they last a little while, but the minute i sit in them, i can tell they aren't gonna last. 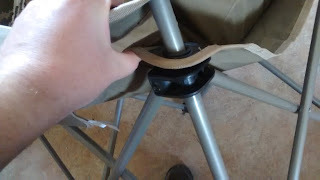 After having the third different one snap under me, i was fed up and was determined to actually find one that was sturdy and truely worth the money. In comes the Alps Mountaineering King Kong chair which i found through googling reviews, and happily finding it on amazon. I was of course skeptical, but it is rated not at 300lbs but 800lbs. Thats a pretty bold claim, but i figure if they are fudging the numbers that high maybe the reality is it will support a big guy around 300. So I ordered it. The price was definitely higher than the 20 dollar jobs from walmart, at around $55 (62 now). Once I opened it I knew the difference though. The thing is at least three times the weight of the cheapos. If you plan to hike (who would take a folding chair?) this is probably not the one for you. Since i use to camp out of my van and as my primary chair, I don't mind. 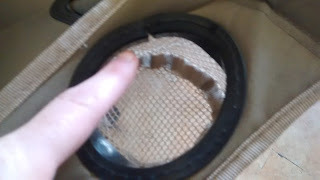 Thick as my thumb, strong plastic and metal screws. 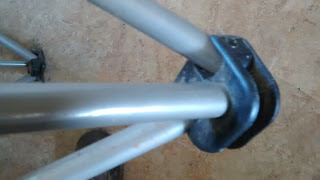 The thing is sturdy, the poles are twice as thick as the others, and they added thick plastic pieces at strategic points to support everything, it doesnt just rely on the fabric itself stretching between the poles for structure. The fabric is thicker too and seems well sewn. It has cup holders and some pocket flaps, which are nice. Its fairly comfortable, but the back is a little more erect than i prefer, if you want to sit up straight like a good boy you might like it :) You also actually sit at a normal chair height, ive noticed other folding chairs are getting lower and lower to the ground, this one is easy to get and out of. The arms don't feel like they are going to bend if you use them to support that maneuver either. This thick plastic supports you, rather than just the fabric. The biggest con Ive found is that the fabric they used is not very breathable, I sweat quite a bit. Its not a deal breaker by any means but it would be nice if they added some mesh spots in here and there or maybe used a strong breath able material like tent fabric. Ive used this chair now for about 4 months, and it is still in the same basic shape. 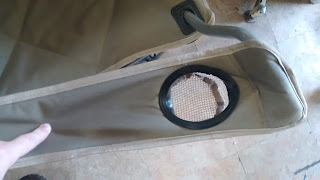 Putting my elbows on the arm rest have caused the cup holders to kind of lose some shape, as it squeezes them, but they still function. Overall, i highly recommend this chair, I dont know if it can actually handle 800lbs but it definitely can handle my weight. Vanholio is not small either, and he's been dissatisfied with so-called "heavy duty" chairs. He'll keep this in mind for his next chair purchase. Many thanks, Sir Wright.